Dr. Liza Aguiar is an assistant professor of urologic surgery and pediatrics at the Warren Alpert Medical School of Brown University. She treats newborns, children, adolescents, and young adults affected by a wide range of genitourinary conditions. Dr. Aguiar brings to Hasbro Children’s urological specialties in laparoscopic and robotic urological surgery. 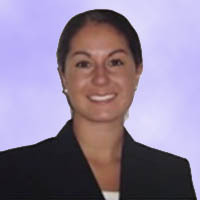 A graduate of the Warren Alpert Medical School of Brown University, Dr. Aguiar received her residency training in urology at Rhode Island Hospital and then completed a fellowship in pediatric urology at Connecticut Children’s Medical Center in Hartford, Connecticut.